Lucia thinks that most of us are in adrenal hyperdrive–most of the time, thanks to American culture and our go, go, go attitudes and “do more, faster” energy. 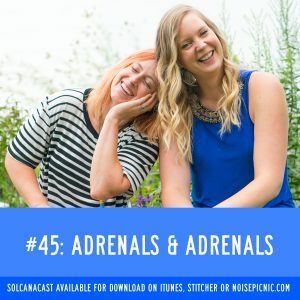 Hannah thinks that the adrenals are a BIG part of athletic performance. What are ways to help manage this? Better listen in!